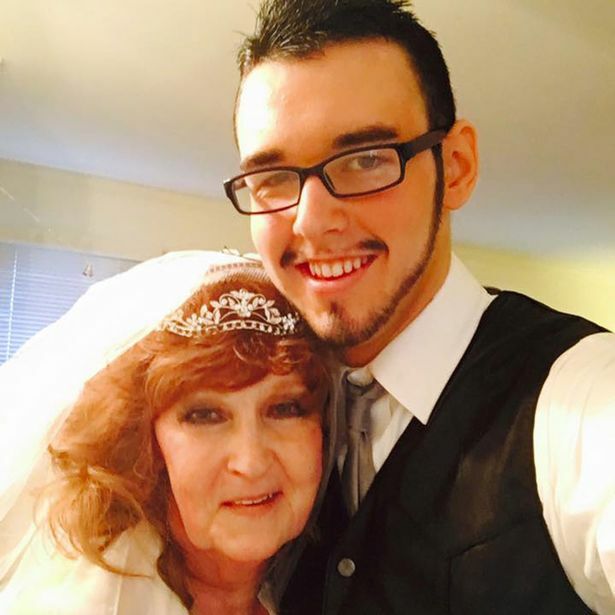 A 71-year-old woman has married a 17-year-old toyboy just three weeks after meeting him at her son's funeral. When grieving pensioner Almeda Errell went to pay her last respects at her son's funeral, the last thing she expected to find was love. Following a whirlwind three-week romance, she and Gary Hardwick – now 18, and who had previously dated a woman of 77 – tied the knot in a ceremony which he arranged for just £137 in six days. "It was wonderful, beyond my wildest dreams," revealed Gary. "She really is my dream woman and the physical side of our relationship couldn't be better." "It was the best ever," agreed Almeda. "I'd never had a connection like it before." 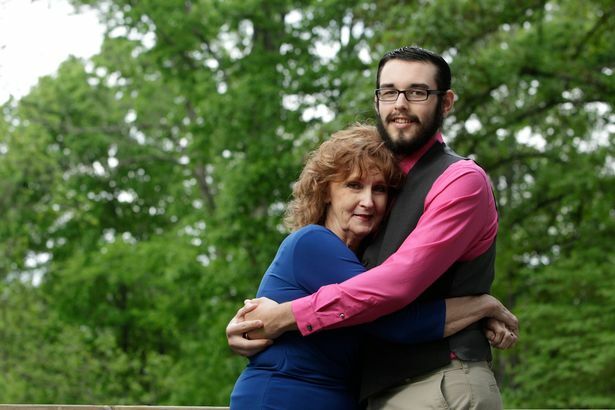 "I wasn't looking for a young man, but Gary just came along," said Almeda, a supermarket assistant. "I just knew straight away that he was the one." I'd been married to my first husband Donald for 43 years, and so when he died in 2013 after seven months in hospital from complications with diabetes, I found myself on my own,' said Almeda. "I'd turn up for work in tears and my colleagues would ask me what was wrong. Deep down, I was searching for a soulmate. "We were always fighting,' said Gary. "I fell into depression and was looking for a way out." "It was an instant thing for me too," said Gary. "She had the most gorgeous, sparkling blue eyes. When I told Lisa that I liked Almeda, she said that she liked me too and that she should get us together." "Some family members Gary was far too young for me, and that I must be crazy," said Almeda. "I told him I wasn't crazy, and that we loved each other." 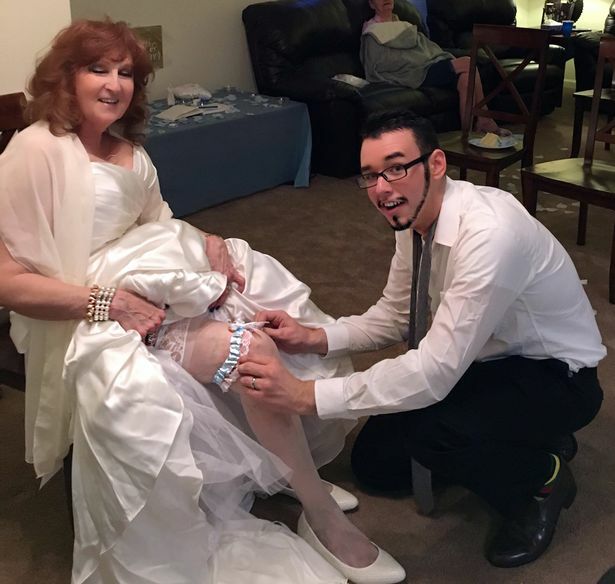 Since their wedding in October, Gary's had their names tattooed across his chest and the couple are now living in Almeda's five-bedroom house, in Sevierville, Tennessee, USA with her daughter DeAnna, 40, and grandchildren Aaron, 21, and Indianna, 16. Gary has also started working at another supermarket, but is applying for a transfer to the same one as Almeda's so they can be together all the time. He said: "Almeda is so young at heart that age never bothers us, we never really think about it. I just know that God answered my prayers that day she walked into my life." She added: 'The one thing I've learnt is that when you truly love somebody, it really doesn't matter what anyone else thinks."